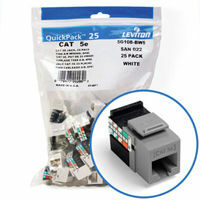 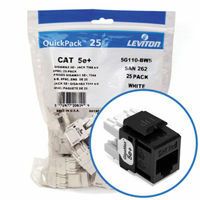 Leviton Gigamax Category 5e Jacks in stock and ready to ship today. Featuring Leviton’s patented Retention Force Technology (RFT), these redesigned connectors also feature unique pair separation towers allowing for quicker and easier terminations. 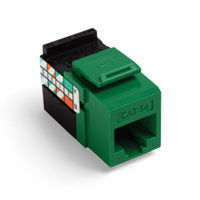 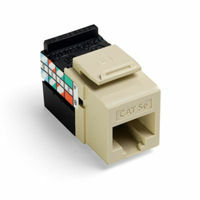 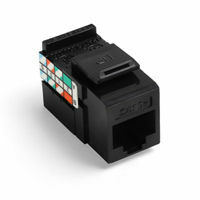 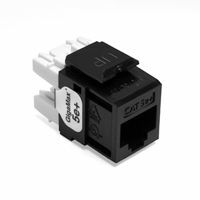 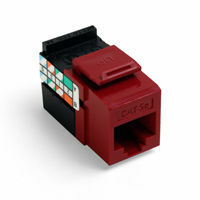 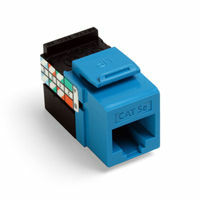 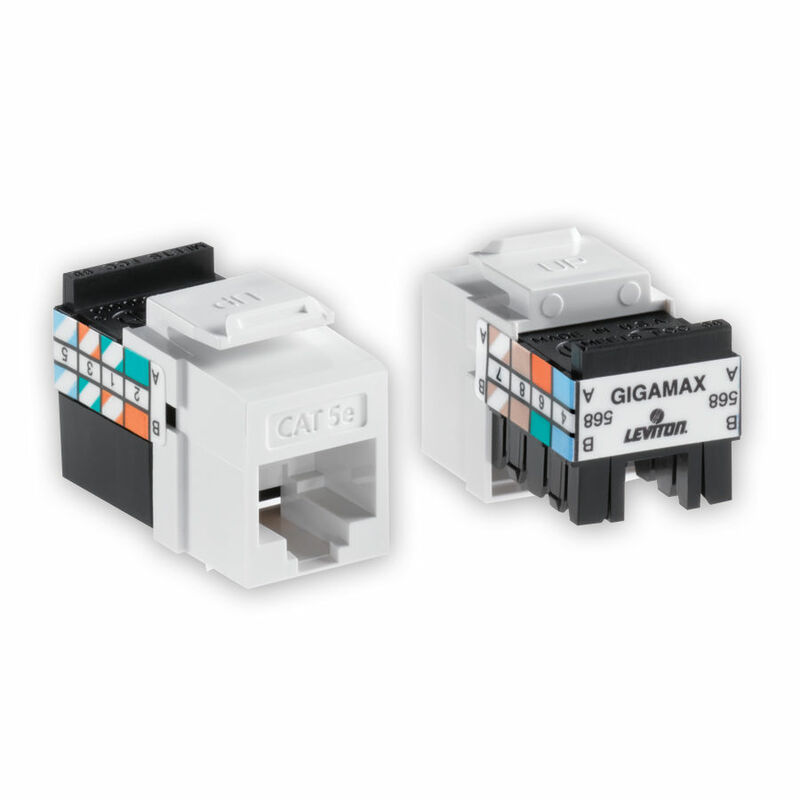 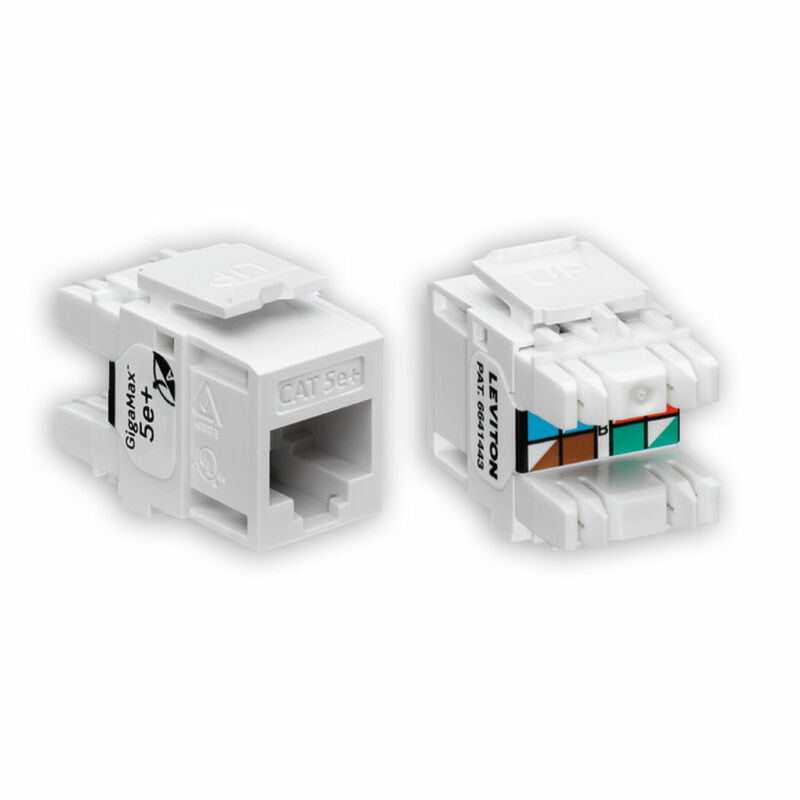 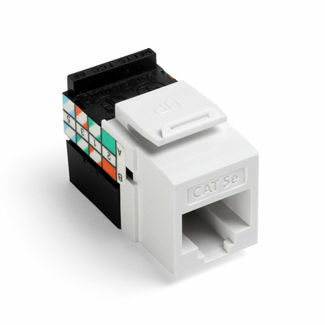 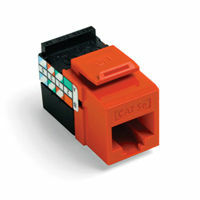 8-position, 8-conductor GigaMax 5e+ component-rated QuickPort Snap-In Connectors feature color-coded wiring labels with both T568A and T568B wiring patterns for dual flexibility in a single connector, plus fast, accurate 110 termination of station wiring. Available in 14 colors. 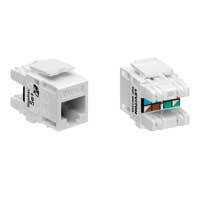 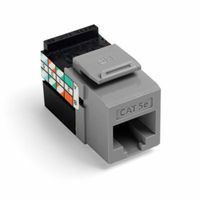 Connectors meet standards for UL, NEC Article 800, and FCC Part 68, and are fully compliant with published TIA-568-B.2 requirements.